Looking for a sweet + thoughtful gift idea for an upcoming birthday? Valentine's Day? Mother's Day? 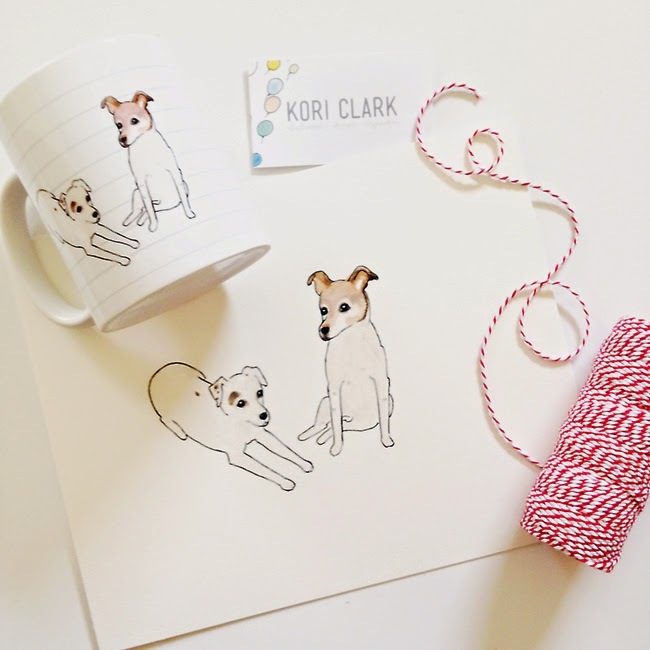 I just LOVE the custom pup portraits and coffee mugs from Kori Clark Designs. I've been friends with Kori for awhile - you may remember her as Paper and Pigtails. She did some re-branding for her business a year or so ago and took a step in the direction of her REAL passion by focusing on her love of working with watercolor paints. I've loved watching her business evolve and when my mom's birthday approached (back in December), I KNEW without a doubt a personalized gift from Kori would be the perfect gift for my mom this year. You see, my mom had two Jack Russells, Skippy and Maggie. They were a match made in heaven - total opposites of each other. They had puppies together many years ago...one of which is my family's dog, Hamilton. After Maggie became ill mid-2014, my mom eventually had to put Maggie down in the Fall. As you can imagine it was devastating for her. I sent Kori some photos I had taken of Skippy and Maggie over the Summer...prior to my mom having to put Maggie down. Kori worked her magic and created a custom water color art print and a matching coffee mug for me to gift to my mom. My mom became tearful when she opened her gifts...I knew she would...how could she not. She certainly wasn't anticipating this gift and I know the art print and mug touched her heart. I LOVE giving thoughtful gifts...and what could be more personal than creating a keepsake of someone's beloved pet? Or in this case...pets. If you love this idea, check out Kori's website for information about ordering. Skippy is awfully lonely without Maggie around. It breaks my heart. He's quite the spunky senior citizen though at the ripe ole age of 105 - in dog years, of course. We take Hamilton over to visit his "dad" whenever we visit with my mom and I know Skippy loves that. SO cute! One day when we have a doggy back in the family, I will have to get Kori to make a print! Love! Kori - you know I just adore you sweet friend! The art print and mug were perfect. I can't thank you enough!! 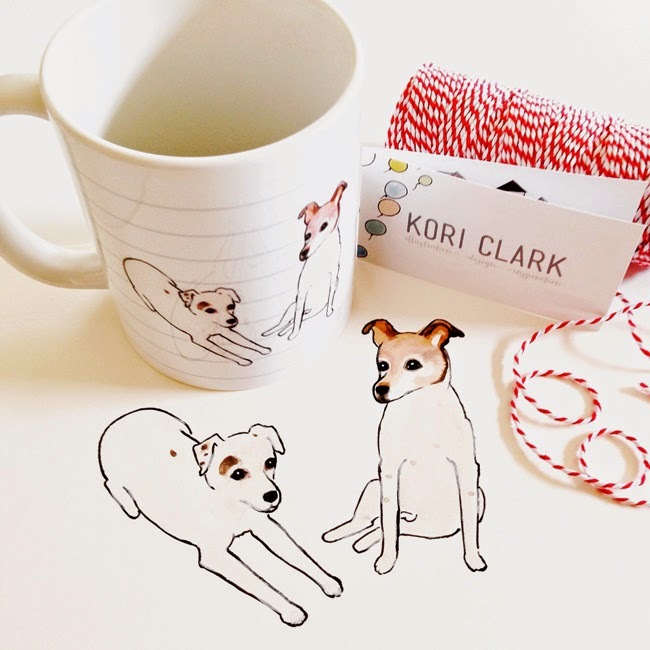 This would be such a cute gift idea for a dog lover! I love how you can personalize it, and it is definitely a gift they will remember! I totally agree Valerie! I'm sure Kori could even do something for cat lovers too! !